Keep yourself dry and stylish while doing your part to support and raise awareness of Prostate Cancer and ChicVoyage. In Canada it is Movember Canada, which is a movement to raise awareness of Prostate Cancer in the month of November. More information is available here. 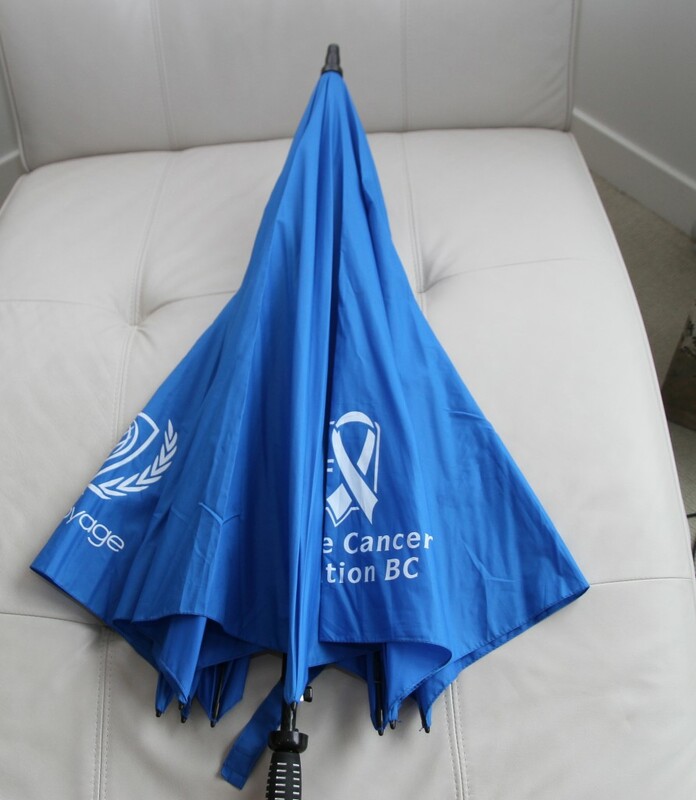 Purchase the ChicVoyage Umbrella – $35 plus tax for BC residents. A portion of the proceeds will go towards Prostate Cancer foundation. Sorry no tax receipts. Shipping cost will be determined based on your address.